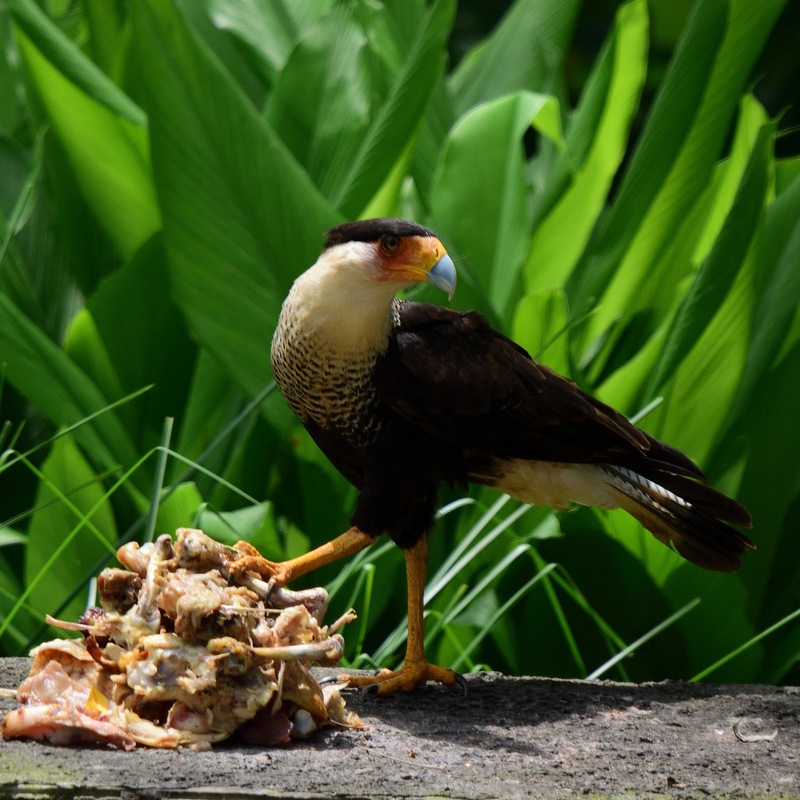 The caracara was the first to show up for the weekly feeding session. He had it all to himself for several moments until the black vultures came and took over. This is all mine! 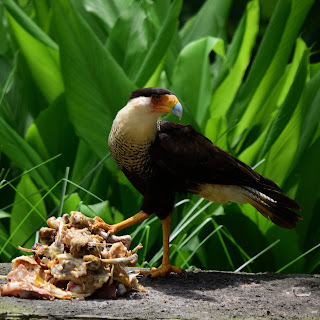 I love the foot on the food as if staking claim! Funny. Thank you MA! Yes, he seemed to pose for the camera.